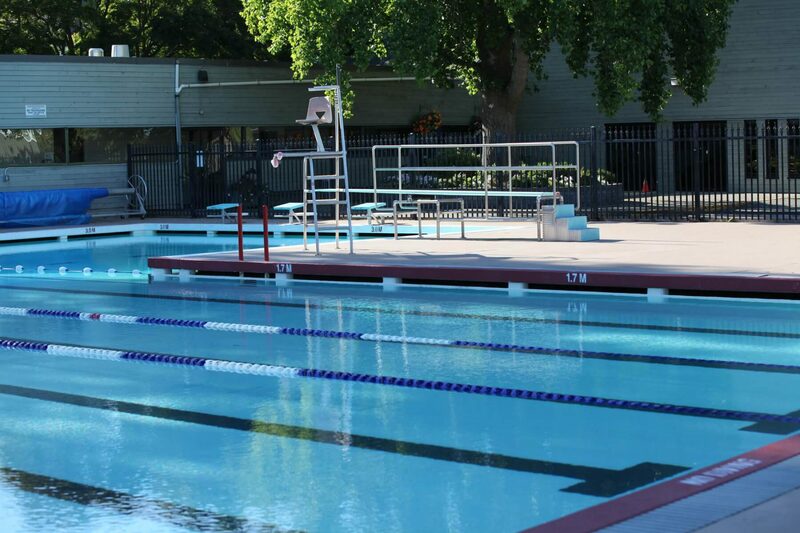 The Club attends weekend swim meets starting the first weekend in June and continue until mid-August. The Meet Schedule is on the website and is updated as we get more information throughout the summer. Meets usually begin around 8:00 a.m. with warm-ups starting as early as 6:30 a.m. Meets are held rain or shine so families should be prepared for all kinds of weather. It is important to bring sufficient warm clothing, rain gear and sun protection. Please keep in mind that the Stingrays have a mandatory 2 hour volunteer shift per family for each day of the meet your family is involved in. When we host our own Super 7 swim meet, we need every family to step up in some capacity. When we attend other clubs’ meets, we help out as timers and on-deck judges. If you are ever unsure of how you can help out, please just ask. We need you! 2. An “Entry File” will be sent out about one week prior to the meet. 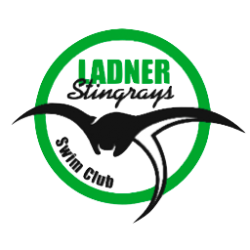 BE SURE to check which events and days your child has been entered into and send any adjustments to the Head Coach alexa@ladnerstingrays.com. Once the “Entry File” has been sent off to the host club, the process to make changes becomes more challenging. If you commit to an event and don’t show up, the club still gets charged so you will be billed. 3. Finally, show up at the meet and check the heat sheets. If there’s a problem, let the coaches know right away. Relay teams will be posted in the morning. Bring extra towels, clothes, food, and a chair to sit on. Parents will be asked to help for at least one shift, timing or officiating. Sign up sheets will be available at the meet. Getting your child to swim meets is the responsibility of each family. Check with other families if you need a ride. Let us know if you need help getting your swimmer to a meet- we can send out an email to the team. For parents we recommend that you bring hats and sunscreen. Lawn chairs and umbrellas are also a good idea as bleacher seating is limited at most pools. Meet fees are usually $6-7 per event sometimes more. The Regular Program includes meet fees for all the meets. Swimmers who are unable to attend a meet after signing up, must notify the Head Coach ASAP. Swimmers who don’t show up at a meet after they’ve registered will be billed for the entry fees forfeited. If a swimmer scratches from a relay causing the team to be scratched, the swimmer who originally scratched will be billed for the relay entry fee. Warm ups are scheduled early in the morning the day of the meet and usually last about 15 – 20 minutes. Warmups are early due to many swim clubs having to share the pool at the same time prior to the start of the meet. About 10 minutes prior to getting into the pool, coaches will assemble the team to begin activation. Participating in activation and warm­ups is important, as it gives swimmers the opportunity to familiarize themselves with the pool and visualize where the blocks, walls, and flags are located. WARM UPS ARE A MANDATORY COMPONENT OF ALL SWIM MEETS. If your child fails to participate in the warm ups at the meet, they will be scratched from all of their events of that particular day. In addition, your family will be invoiced for these events. As it is expected every child completes warm ups to prepare for their races as well as get comfortable with the pool in which the meet is held. The only time a child may miss warm ups is if they are advised directly by their individual coach not to attend! Please Note: Little Stingrays and Sea Turtles will not be participating in Warm-Ups due to their hectic nature and depth of the pool. We will not have volunteer coaches in the water during the younger warm-up, so please do not send your swimmers for the early morning warm up! Please arrive at the pool around 7:45am in order to get organized and ready to go for the meet. We do understand that sometimes unavoidable situations present themselves and you are unable to make it to the pool. Please notify Coach Alexa directly, so that we are aware! If you fail to notify Alexa, your child will be scratched from the days races and your family will be invoiced for the missed events. Our club pays for every swimmer to participate in meets. Make sure your swimmer checks in with their coach as soon as they arrive. If the coach doesn’t know you are at the meet, the swimmer may be mistakenly scratched from their events. Parent Participation: Without the help of parents swim meets simply could not take place. Swim meets cannot begin until all on-deck volunteer positions have been filled. Monitoring Children at Meets: Parents are responsible for their children at a swim meet. If parents are unable to attend, an alternate parent must be contacted to look after their child. Some of our parents spend the day on the pool deck as officials and this means they might need help getting their kids to their events. Please offer to help out in these situations. Team Tent Area: Parents are responsible for monitoring the team tent – please ensure your children are aware of this and respect direction given from other club parents. Remember that there are swimmers of all ages in our club (and tent) and it is important to act appropriately. The tent is a quiet place where swimmers can play quiet games read and rest. NO HORSEPLAY! All swimmers are asked to help clean up the tent area at the end of each day. Please help us with this. On-Deck Officials: At each swim meet every club is required to supply place judges, stroke and turn judges, and other officials we have available. These positions are filled by parents who have attended clinics: Stroke & Turn, Starter & Ref, etc. Becoming an On-Deck Official The Club arranges officials clinics for those parents interested in working as on-deck officials. Watch the website and your emails for any upcoming events. Contact Director of Officials @for information or to express your interest in attending a clinic. It is imperative that we train as many parents as possible as Fraser South is desperately short of qualified senior officials. Timers & Recorders: At every meet, the host club assigns a lane to each visiting club and posts a sign-up sheet for timers and recorders. The training for these positions is brief and anyone can be a timer and recorder. The Stingrays have a mandatory 2 hour volunteer shift per family for each day of the meet your family is involved in. When you sign up for a meet you are committed to relays unless coaches are notified prior to the deadline that you won’t be available. No parents are to be in the marshalling area, as this adds to confusion and distraction. A coach will supervise swimmers who are 6 and under or Div. 1 relay teams in the marshalling area. You must check with the coaches by 11:00 am to confirm if you are on a relay team before you leave the meet (even if the relay event number is not on your event sheet). All relay selections and combinations made by the coaches are final. Coaches will make every effort to ensure that each swimmer has an opportunity to be on a relay. At the Regional Championships the coaching staff will determine the individual team members and the order in which they will swim to maximize team potential and placement. The qualifying Regional Team will stand for Provincials unless there are events beyond the Club’s control. Interclub An informal event or competition held within the club. Times are unofficial. An important team building exercise! Cheers and supporting eachother are part of this event. A smaller and shorter running meet where young novice swimmers race. Low pressure, lots of fun, prizes awarded to everyone. Open to Div 3 ‘B’ swimmers and under (Div 2, Div 1, 6&U). A good introduction to racing and summer club competitions. Timed Finals A regular competition available to all athletes that will host a full event list. Each event is swum once. A longer format than a Development meet but more exciting! Heats & Finals Regular competitions that include finals in the afternoon, where top-place finishers (normally 1st to 6th) swim a second time, after preliminary races in the morning. Emphasis is placed on racing and swimmers get additional racing opportunities to improve. Championships A grand heats & finals competition whereby finalists score points for their respective clubs. Thrilling races and an intense team atmosphere to conclude the summer season!—not to be missed. Everyone participates at Regional Champs; swimmers qualify for Provincial Champs by coming top 3 or achieving PQT standard while at Regionals.